Big-name architects have left their mark on Corpus Christi Country Club over the years. Fred Mcleaod, then the winter professional at Maryland's Columbia Country Club, built the course in 1909, followed by a redesign at the hands of John Bredemus in 1921 and a rare visit by Robert Trent Jones in the mid-1960s. The Gabe Lozano facility, named after the original owner, is home to an 18-hole regulation course and a 9-hole executive course. 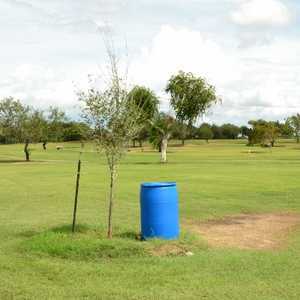 Traditionally the most popular course in Corpus Christi, this public course hosts upwards of 70,000 rounds per year. The Oso Beach Golf & Country Club opened in 1939 with an 18-hole John Bredemus design along the Cayo de Oso watershed, where the bay wind blows incessantly. The course opened to the public in 1946, and the Corpus Christi Golf Association promoted the facility with its "World Championship Four-Ball Match" featuring the golf dream team of Ben Hogan, Byron Nelson, Sam Snead, and Jimmy Demaret. Originally, River Hills was a 9-hole layout designed by Warren Cantrell. Leon Howard came along and added another nine in 1965. Laid out along the Nueces River, River Hills is a short course with water hazards coming into play on almost half the holes. The "St. Andrews of Padre Island" opened in the 1970s, featuring a Bruce Littell links-style design with water on 15 of 18 holes. 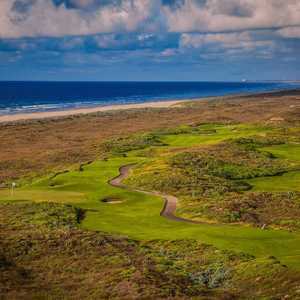 With stiff sea breezes and sand dunes covered in thick grasses, along with the nasty "heather" that borders most holes, Padre Isles is one tough mother.